Camp Cropper. Baghdad. Iraq. 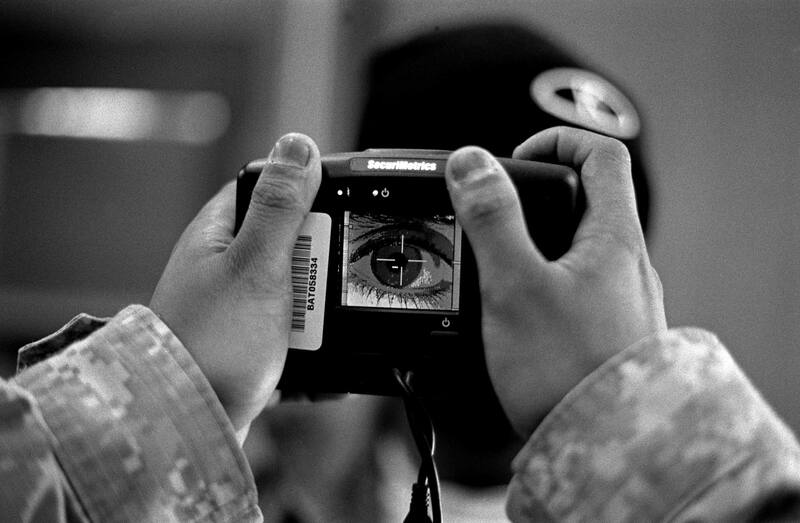 January 2008 A detainee undergoes a retina scan before being released.